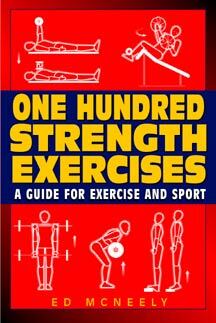 Here are one hundred strengthening exercises that can benefit everyone, from athletes who need greater power to seniors who want to keep aging in check. Exercise physiologist Ed McNeely presents strength routines for every major muscle group: legs, torso, back, arms and shoulders, and neck. He identifies how and when exercisers at differing levels of fitness should do the routines, and how to avoid injury. Clear drawings show how to do each routine and which muscle groups are affected. The routines cover basic calistenics, working with barbells, and simple strength-training machines. Ed McNeely is a former world-class lifter and is currently Director of High Performance Specialists, a sports medicine and training facility.